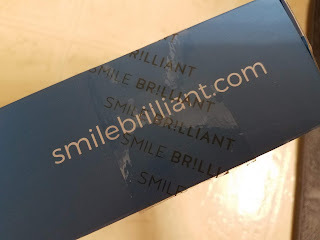 *DISCLOSURE* Thank you to Smile Brilliant for providing product samples in order to facilitate this post. All thoughts are strictly my own. 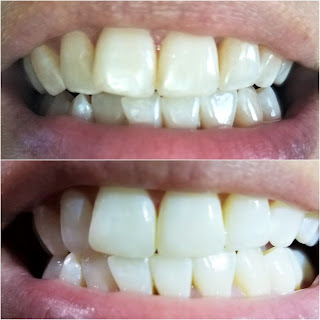 I've always been interested in professional teeth whitening, but put off by the cost my dentist charges. 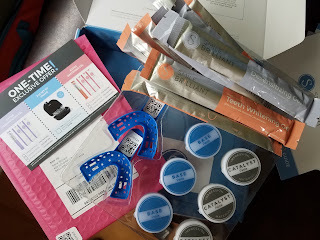 You could imagine my excitement when I got the opportunity to try out an at-home whitening system from Smile Brilliant! 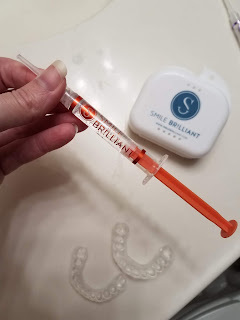 The initial package includes all of your whitening and de-sensitizing syringes and everything you need to make your dentaI impressions. It takes less than 15 minutes to create the impressions using an easy-to-mix blend of putty and your kit comes with a postage-paid envelope to ship your impressions back to Smile Brilliant. 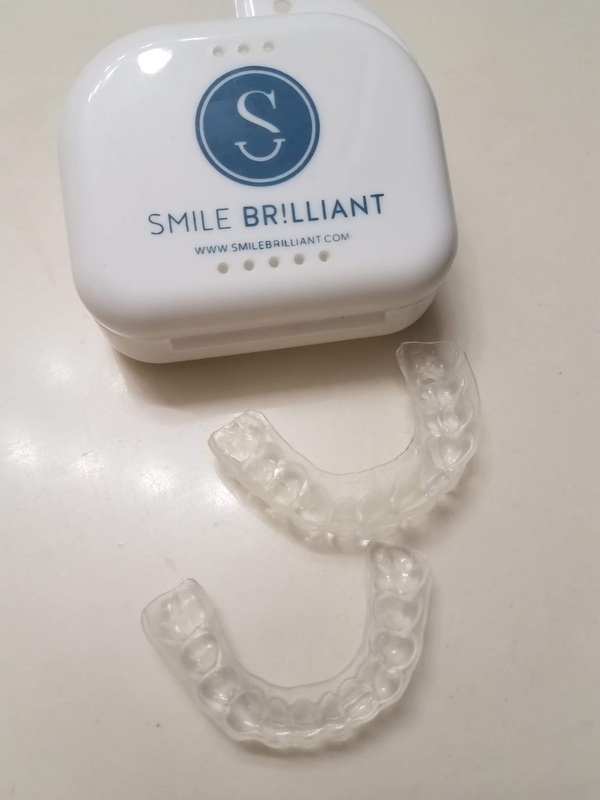 My customized trays were mailed back to me within a week and I was ready to start whitening! I simply added the professional teeth whitening gel to my trays, wore them for between 1 and 3 hours after dinner, then removed them and put the de-sensitizing gel in the trays, wore them for 20 more minutes and done. I repeated this routine for 3 weeks to get the results you see below. 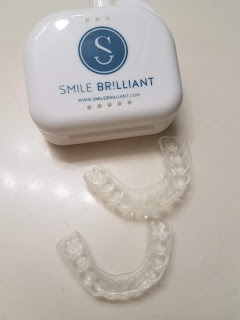 With continued use, I expect to see even whiter shades on my teeth. 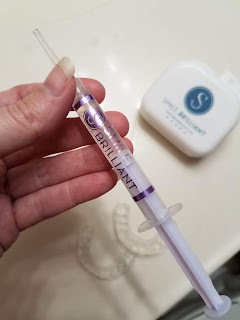 At just $175, Smile Brilliant is a fraction of the cost of a professional teeth whitening treatment from a dental office...those can be upwards of $750! One lucky reader will win a $149 Smile Brilliant credit. Open to USA, UK, Australia and Canadian residents.